"The Plastic Pumpkins Broadcast Network presents the Friday the 13th Ultimate Staredown!!!" 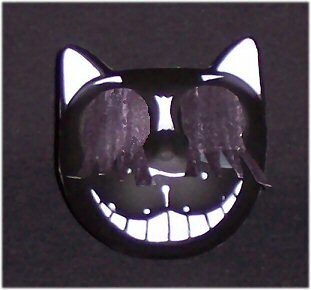 "In this corner, weighing in at little more than a speck of nothing- it's Hallowe'en Kitty Pez!!" 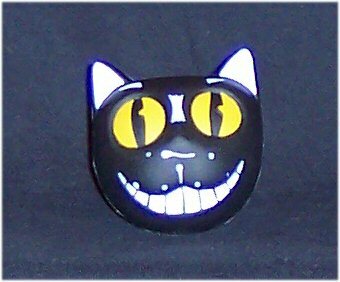 "And in the opposite corner, weighing less than a handful of half of hardly anything at all- Hallowe'en Kitty Bouncy Ball!!!" "Kitties, shake hands and come out staring!" 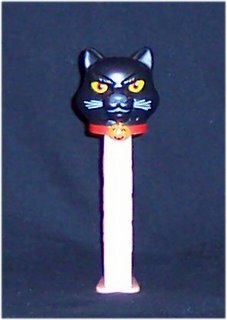 "And the winner and still champion- Hallowe'en Kitty Pez!!!!" Fantastic blog! This entry reduced me to uncontrollable giggles. Great job..as sweet as yummy, yummy, Halloween candy!